You are here: Home / News / What will come out of all these discussions? The General Congregation is getting to the end of its work. Over the past few weeks, it had concentrated its efforts on the study of documents prepared and presented by committees or commissions. The delegates have to decide, finally, what will be their recommendations on these topics. They could vote a decree, they can make recommendations or give mandates to Fr. General or they can send back the topic or the material to “ordinary governance”. Here are some more precisions. A decree is the typical mode for an official pronouncement of a General Congregation of the Society of Jesus. This is as true today as it has been through the centuries. Simply put, a decree directs the Society of Jesus in some way. Decrees usually have embodied a legislative or juridical intent, or inherent directions toward concrete implications or results. The perceived need for a decree usually arises from changed historical circumstances, or changes in the Church, or a proposed answer to a developing question about Jesuit identity or practice. In the last half century, General Congregation decrees on such seminal topics as poverty, chastity, obedience, mission, and justice have sought to help the Society remain true to itself while engaging a quickly changing world. Sometimes a decree can propose changes to Jesuit law or internal structuring. One example of a Congregation taking up a large and complex issue would be how GC 31 through 33 gave ongoing attention to Jesuit regulations on religious poverty. One example of taking up a lesser but still important issue, inserted into a decree, was how GC 34 amended the composition of the Superior General’s council, i.e., those who assist him most closely in governance decisions. Occasionally decrees will not propose much that is new, but rather will expressly affirm what a prior Congregation has done. This may be the case, for instance, if a Congregation feels that Jesuit members around the world have not sufficiently implemented or taken to heart something that a prior General Congregation decreed. Inserted into longer decrees, or as shorter freestanding decrees, recommendations or mandates can be given to the Superior General by the General Congregation. These recommendations direct him toward a certain end. The Congregation might recommend the creation of a commission to study a crucial issue, with a clear expectation that there be a concrete result such as a letter to the members of the Society. In these cases, the General Congregation recognizes that it cannot and should not micro-manage. It entrusts to Father General the task of doing as he sees fit, while making clear that the topic is an important one. Finally, the phrase “ordinary governance” refers to the Superior General’s ongoing, regular care for the Society of Jesus after the General Congregation concludes. He, with his advisors and other superiors of the Society, oversees the ordinary life of the Society. In doing so, he and his assistants engage the task of putting into practice what the General Congregation has specified. 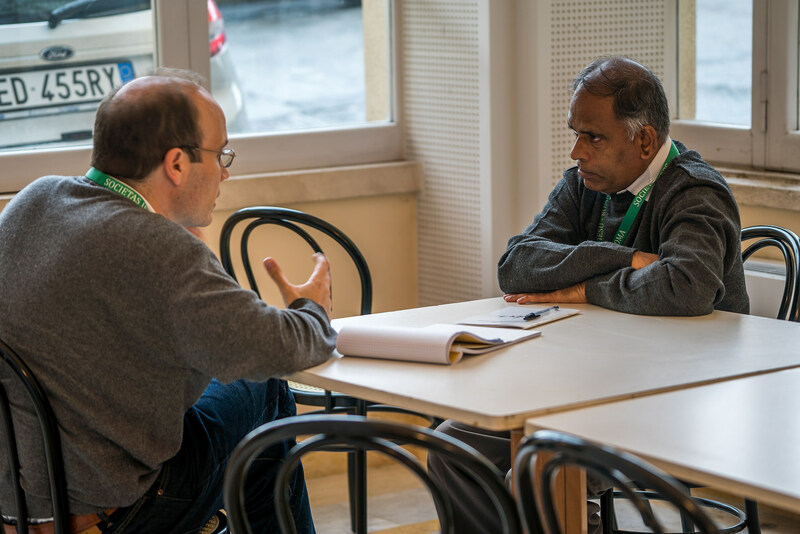 In this way, the General Congregation gives the Superior General concrete missions within his larger mission of leading the Society of Jesus. When a General Congregation is in session, it is a moment of “extraordinary” governance. After it finishes, what Father General undertakes is “ordinary” or typical governance. So, once a General Congregation ends, the Superior General and other leaders of the Society will return to normal leadership and everyday religious governance, but with the additional and fundamental task of implementing what the General Congregation has decreed, recommended, or mandated.